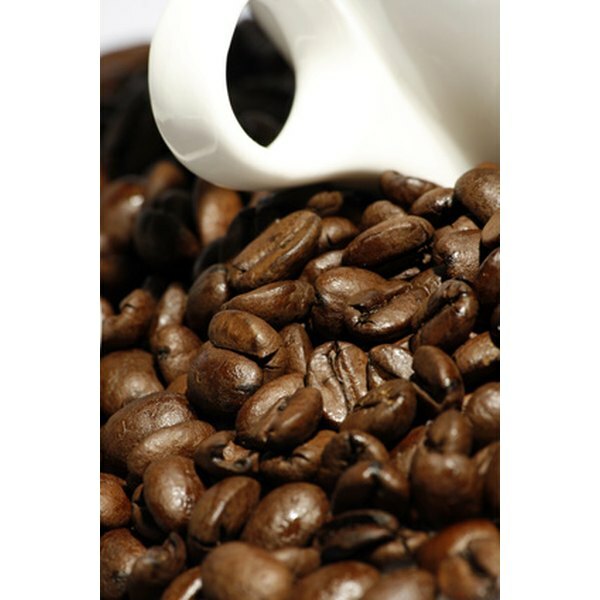 How Does Caffeine Affect Brain Physiology? When you're sleeping, in a great mood or feel hungry, you have the neurotransmitter serotonin to thank. However, a lack of serotonin can result in adverse health effects. People often use negative behaviors to raise their serotonin levels, according to the UCLA Arthur Ashe Student Health & Wellness Center. For instance, while drinking beverages with caffeine may raise your serotonin levels, too much caffeine can increase your need for the neurotransmitter. Serotonin is a neurotransmitter derived from tryptophan, an amino acid connected with mood functions, according to the Mayo Clinic. Because low serotonin levels are linked with depression, difficulty sleeping and an increased appetite, it is important to keep your serotonin levels regulated. Caffeine is a stimulant that causes the nervous system to become more alert when ingested. Present in the leaves, beans or fruits of more than 60 plants, caffeine is a substance linked with increasing serotonin levels in the body, according to The Journal of Young Investigators. Caffeine's chemical structure is similar to that of an adenosine molecule. Adenosine molecules are responsible for slowing brain functions that make you feel drowsy, according to The Journal of Young Investigators. Caffeine molecules can inhibit the effect of the adenosine molecules, causing your brain signals to speed up. In addition to this reaction, caffeine increases cortisol levels, according to the UCLA Arthur Ashe Student Health & Wellness Center. Cortisol and serotonin must be balanced in your body in order for your brain to best function. Therefore, when your caffeine levels increase, your body must increase serotonin levels to balance the cortisol. Caffeine can be valuable if you need a jolt of energy to power through a project or work assignment. However, when you consume caffeine frequently and in excess, it can have harmful effects. For instance, your brain adapts to the presence of caffeine. This means that instead of being boosted occasionally, your brain begins to require caffeine to function. The absence of caffeine results in a reduction of serotonin, which causes irritability, feelings of anxiousness and an inability to concentrate, according to The Journal of Young Investigators. You can find caffeine in a variety of substances, chiefly those that taste bitter, according to MedlinePlus. Such beverages as coffee, tea and soda aren't the only items that contain caffeine. You also will find the substance in chocolate, medications and nuts. Do not ingest excess amounts of caffeine. Drinking two to four cups of caffeinated coffee a day is not harmful, according to Medline Plus. However, if you experience such symptoms as difficulty sleeping, headaches or a faster-than-normal heart rhythm, you may have consumed too much caffeine. Limit your caffeine consumption if you are pregnant or nursing. Your baby may not be able to properly process the caffeine. If you are taking prescription medications, ask you physician whether they contain caffeine.